The redevelopment of Marbella's Puerto de la Bajadilla could now be postponed for years after Al-Thani appealed the decision to annul his contract. The High Court of Justice of Andalucia (TSJA) annulled the concession of the works granted to the business consortium headed by the Sheikh following continuous delays and late payments for sub-contracts. Andalucia's Public Ports Agency had to take of over the project last year as nothing was happening and the Sheikh had repeatadly failed to make the promised payments or follow the schedule. If the courts allow the appeal it could be years before any work gets done on the project, which would be a blow for locals who were looking forward to an increase in employment and other economic benefits. If the appeal is not successful it is likely that the project will be taken over by the Group Alfil and Marinas, the second highest original bidders. 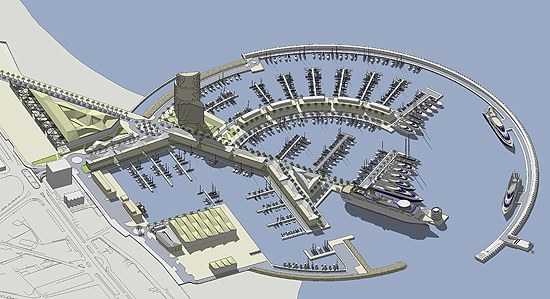 It has recently been announced that Al-Thani has lost the contract to redevelop the marina at Puerto de la Bajadilla. This follows many years of delays and excuses and the town hall have finally run out of patience with the Sheikh. However, it has also been revealed that the town hall are still planning to go ahead with the redevelopment and are planning to once again put the plans out to tender. 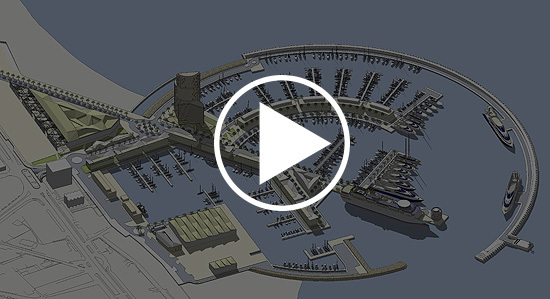 A new consortium (UTE) including Nasir Bin Abdullah & Sons, Puerto Deportivo and Marbella Town Hall will transform Marbella's Puerto de La Bajadilla into a new, luxury marina with an initial investment of 84m Euros. Marbella officials have announced that the owner of Málaga Football Club, Abdullah Ben Nasser Al-Thani, will redevelop the current fishing port breathing new life into Marbella. Marbella's port is currently known as 'Puerto de la Bajadilla' and is already a very popular destination for both tourists and residents. This is in part due to the diverse selection of restaurants and shops in the area. Puerto Banus, 15 minutes down the road from Marbella, currently holds the label as the most exclusive area around Marbella but the new plans hope to shift that label to Marbella. Many millions of tourists flock to Puerto Banus year after year hoping to see a celebrity, to visit designer shops or simply to admire the enourmous private yachts moored there. Puerto de la Bajadilla, close to the center of Marbella, is surrounded by hotels and residential buildings and flanked by some of the best beaches on the Costa del Sol making it a popular holiday destination. During the first 10 months of 2011 Andalucia received 7.2 million visitors, compared to a yearly total of 5.8m for 2010 (Source: Instituto de Estudios Turísticos), and it is hoped that the new marina will attract more of those tourists to the area. The project is being referred to as one of the most important urban developments in Marbella's history and will bring multiple benefits to the town. Besides the obvious benefits from increased tourism it is thought that the completed marina will provide 1,500 direct jobs for the town of Marbella. A further 3,000 indirect jobs will also be created - great news for an area dependent on tourism. 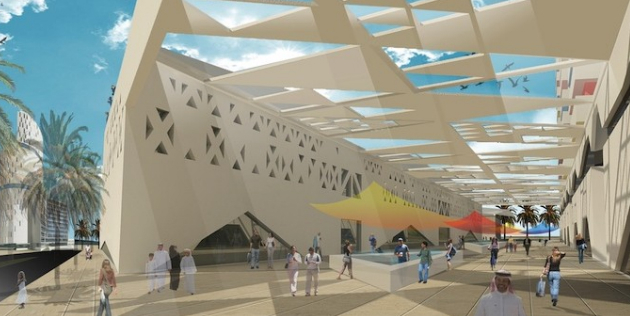 Spanish architect José Seguí has been chosen by the UTE to create the plans, including the 3D fly-through. View the latest videos here. Is the Sheikh losing control? The construction of a spectacular exterior dyke formed in a circle of 911m and surrounding the whole area of the current port. 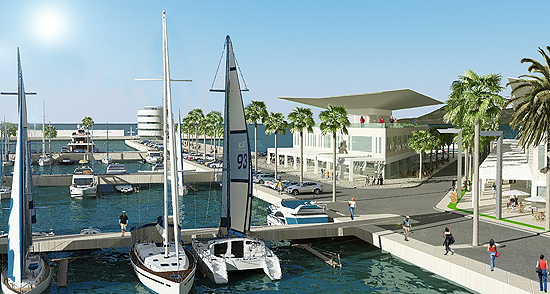 The harbor's capacity will be increased to 1,220 sport crafts of between 6 and 125 meters in length. Cruise liners of up to 170 meters will also now be catered for allowing passengers to disembark to spend time, and money, in the port. This will be possible thanks to an increase in depth at the port. A new commercial area and a five star hotel will confirm Marbella as one of the most exclusive tourist spots in the world.